The back catalogue. Read about Scott's adventures to date and maybe be inspired to follow your own dreams! 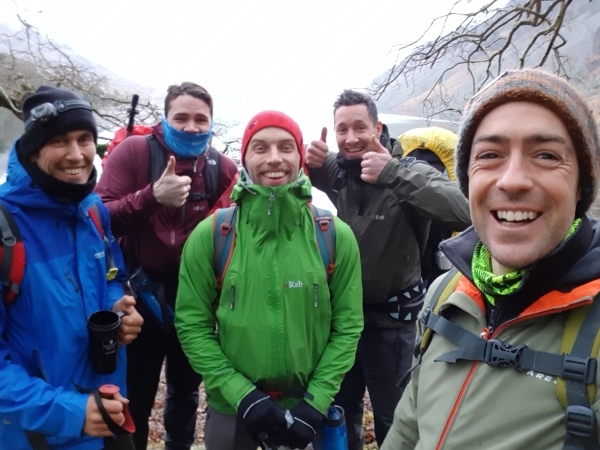 The first adventure of the year and it was a tough slog! 87 mile hike over three and a half days with three wild camps. The ground was hard and rutted - the scenery was pretty but lacked the wow factor for me. Maybe that was just because I was battling with the pain of 12 blisters for most of it! There were gems like Zita who came out and made us all tea and coffee, or the church that had cake and drinks available to the weary traveller for a small donation. Ben, Callum, Broccers and Jamie were along for this one and it's one none of wish to repeat! 129 miles in our four days off in Canadian Canoes. 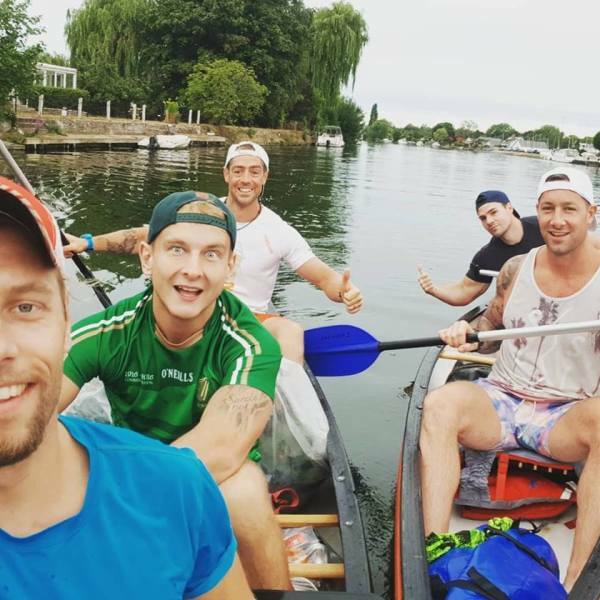 Lechlade to Teddington and some wild camping. Forty six locks, Twenty something Herons, 1 snake and two sheep rescues. What a journey with great mates. Who knew the Thames was so beautiful?! Where can you go on a Razor A5 Air kick scooter? Pretty much anywhere! My younger brother Tom and I scooted from Turin to Venice, attempting to follow the the River Po. 10 days and money raised for Crohns and Colitis UK. What a week this was! 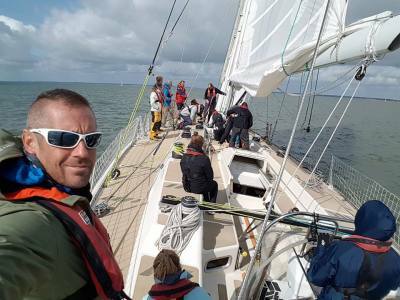 I was lucky enough to spend a week on a Clipper round the world yacht race.... Yacht! I worked with a fantastic crew and a Skipper who is quite honestly some kind of oracle! It was an intense week with new lingo (honestly, why can't a rope just be a rope? What's wrong with left and right? Is that a clasp? Nope that's a Hank! Is that a ring? Nope! That is a Luff Cringle!?) Ridiculous! But sailing along at a 42 degree angle with water washing over the hand rails, climbing the mast to put a reef in, hanging on with your legs wrapped round the mast. What a blast!! 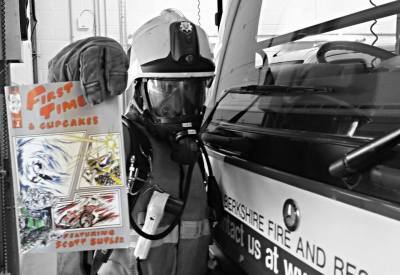 Huge thanks once again to Elliot Brown Watches who made this possible for 8 firefighters as part of a competition. 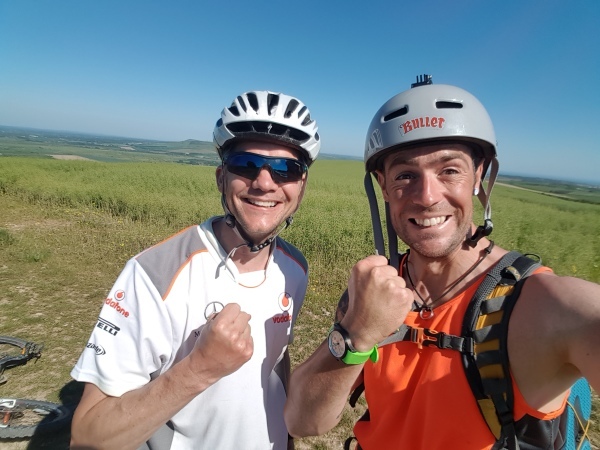 In the end it wasn't to be that I go on to complete the training and take part in leg 6 of the race, but ultimately the best person will and that is Bex Sims who was awesome! She will have the time of her life! A new world record! 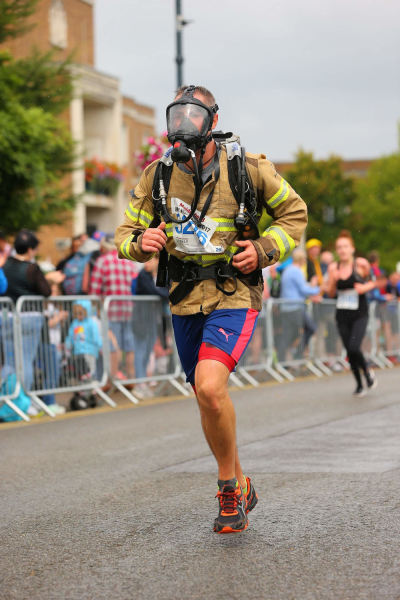 On the 3rd September 2017 I ran the Maidenhead Half Marathon wearing a full BA set kindly donated to me by Drager. For the whole race I was 'under air', meaning that all my air came from teh cylinder on my back! I had to change the cylinder every 2 miles with the help of my friends Rudy Gallagher, Gavin Callander and Matt Spaven. The set weighs in a t 16.5kg and left some chaffing marks! I completed the race in 2 hours 21 minutes (Running time of 2 hours 9 with 12 minutes of cylinder changes). This set the new Guinness World Record for fastest half marathon in BA (Male). The time to beat was 3 hours! We summited Mt Snowdon at 4.18 am meaning we had completed the #threepeakschallenge in 20 hours and 44 minutes! Great stuff from the boys Ben, Gavin, Callum, Troy and Scotty! 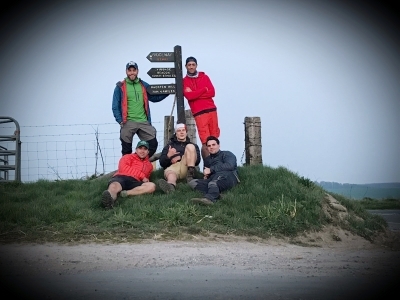 All knackered and aching but all totally stoked to have completed this iconic challenge! 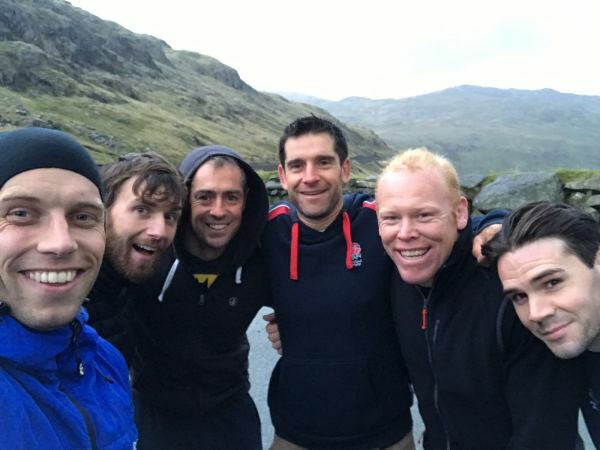 The three highest peaks in England, Scotland and Wales have long been a bucket list challenge and they didn't disappoint... well maybe a little! There wasn't a view from any of the peaks! 93 Miles In our four days off from work. 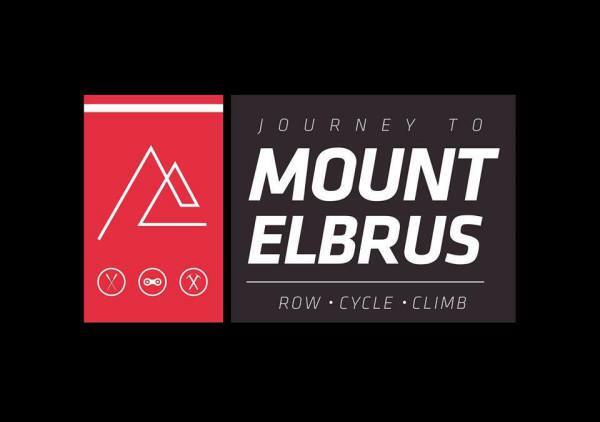 This route would take in over 12,000 feet of ascent through some of the most beautiful scenery Britain has to offer. Could we do it in the depths of Winter? Rudy, Ben, Nick, Callum and I would be carrying our 10kg packs with everything from our cookers to our tents... It was to be a momumental tasks but an adventure to treasure! One tandem bicycle. One overloaded bike trailer, two Inflatable kayaks (one with a puncture) and two idiots. The plan? 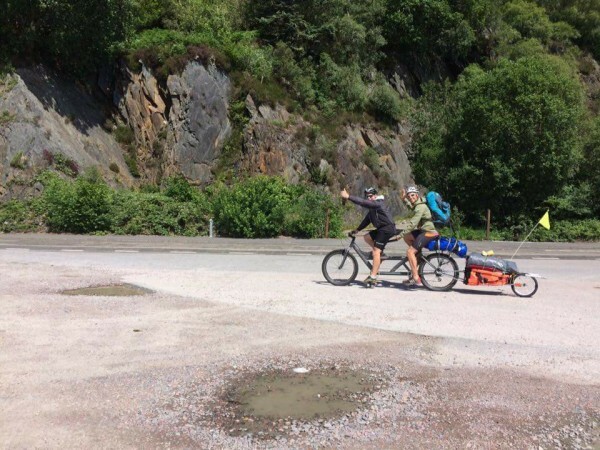 Cycle between the three longest Lochs in Scotland and at each paddle the length of them- bike and gear in one kayak and then towed by us in the other! 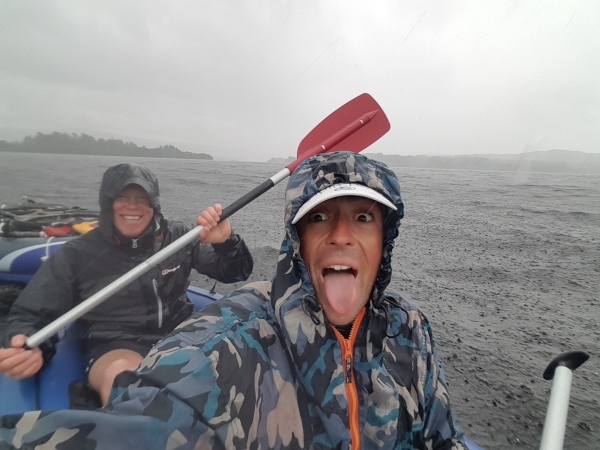 Gavin Callander and I were forced to change our plans right at the start as the wind was howling down Loch Lomond so we shifted focus and started our challenge on Loch Awe at around 8pm. It was a little surreal paddling off with an untested setup late at night in the middle of knowhere with just Gavins wife Caroline waving us off! But we were away and managed a few a hours paddling in the rain before setting up camp on the banks of the Loch for a fitful sleep. The next day we finished the 25 mile paddle in a total of around 9 hours, waited for the rain to pass and sorted all our gear ready for the bike! The first few miles were an introduction to the hills and eventually we made it to Tyndrum at around 10pm and sunuck into a midgie infested campsite. The next day we rapidly repacked the tent while being abused by swarms of midgies and set off to cycle to the bottom of the now calm Loch Lomond. It was a hilly ride... down hill which sucked as we knew we'd have to climb these exact same hills again! At the start of Lomond at Balloch, we did some emergency shopping (my rain jacket was grossly inadequate!) and started the paddle north. Lomond is a stunning Loch and the paddle through the islands was breathtaking - we could have been anywhere in the world! That night we camped on the shores of Lomond and everything was serene although we knew the weather was going to beat on us again the next day. We started the paddle in the rain and finished it, exhausted and cold, in the rain. We stumbled into a caravan site toilet and found the two most powerful and hot showers weary adventurers could wish for! Re-energised we packed the bike up, grabbed some grub and set off for what we thought was a harsh long climb back to Tyndrum. We we wrong! It was shorter than we had calculated and we arrived with loads of time in hand! This time we paid for the campsite and made the most of the drying room(!!) and go ta proper feed in us at ghe local diner. Day four was a going to be a tough one with 77 miles on the bike planned with over three thousand feet of climbs involved. On a tandem. With an overloaded trailer. We started well, blazing up the hills but by mid afternoon we were flagging. The bikes gears were giving up and energy lervels were low. Factor in that we now knew that Fort Augustus wasn't to be the final stop on the bike. 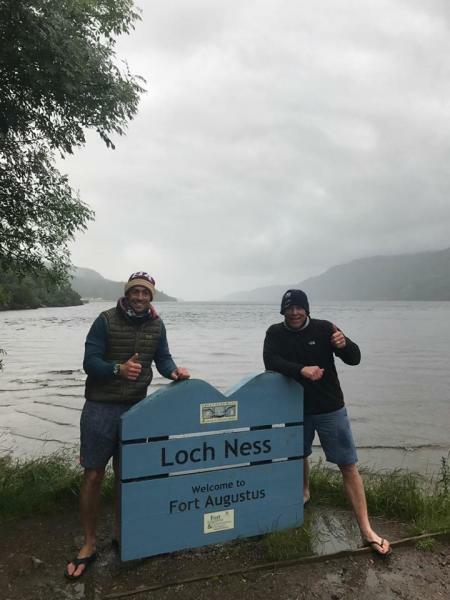 We pulled it together and had dinner on a bench in Fort Augustus, mentally prepping ourselves for the extra 27 miles because of the damned wind again. The wind was once again blowing the wrong way so we needed to start from the top of Loch Ness. We made 18 of the 27 miles before the bike gave up. We were doewn to one brake, one gear and we had snapped 7 spokes on the rear wheel. Jeanie the tandem was done! We pushed the poor bike two miles to a village called Drumnadrochit. Here we set up our tent behind a hedge outside the local retained fire station (not that they knew about it!). The next morning we caught the bus to Loch End and set up the kayaks Kate and Lewis for the last time and paddled out for the 21 mile slog. Eight and a half weary hours later we arrived back in Fort Augustus to the welcome of Caroline once again. We had done it and were bone shakingly cold! A beer and massive fish and chips soon sorted that out! Brutal. That is one of the words I would use to descibe the legendary 'toughest footrace in the world'. In April 2017 I took part in this race and met some amazing people, pushed my body to the point of exhasution and did it all in the Sahara desert in 54 degree heat. 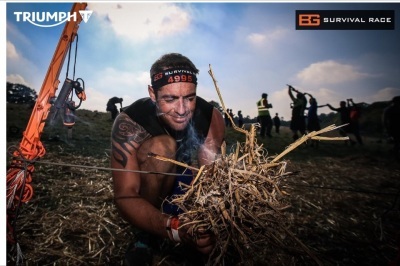 You are self sufficient for the race and must complete every stage within the time limit, eventually covering over a 150 miles in just six days! It's breathtakingly beautiful but the course is there to test you to the limit. I finished 445th out of 1200 which I am stoked about seeing as i'm not really a runner. But more than that, I met and befriended some truly inspiring people along the way. People who would just not give in, even if every fibre in their body cried out for them to stop. Some say the race changes their lives. I say that if you are out there, your life is already pretty good. Your'e LIVING it! Well done to all the finishers. You're all AMAZING!! The Biggun!! 3 years in the making, shed load of money spent, boats repaired, turbos blown, blown backwards... this trip (trips!) had it all. Would I do it all again? Hell yeah!! One world record in the bag and memories to last a lifetime. Rowed From Burgas in Bulgaria to Batumi in Georgia across the Black Sea! Climbed one of the Seven Summits; Mount Elbrus in Russia! 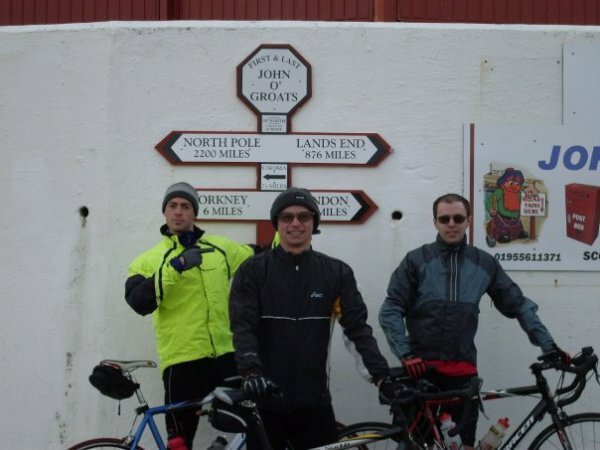 In 2008 Andy forster and I took on the classic ride from the northern tip of Scotland to the toe of England, John O'groats. We did the ride in eight and a half days. We faced wind and rain with a fair few punctures and a massive 153 miles day because of a wrong turn! We cheated to some extent as jason Cunningham drove our support car and we stayed in Fire Stations along the way. It was my first proper long distance cycle and I loved it, despite the anti-climax of John O'Groats!! "Can we go home now?" said Jason who stood next the van slowly clapping us in. In late 2010 we were sat on Clearwater beach in Florida and my mind, as usual, was wandering (I don't do well just sitting on a beach!). I was musing over what we had done on our holiday and realised that we had done something new everyday so far on that holiday. "Right!" I declared "I'm going to see if I can do something new, something i've never done before everyday for a year!" Lou gave me the equivilant of "thats nice dear". From shooting guns to perming my hair the year rumbled on. It was difficult at times with a lack of money, time or inspiration but the project was a succes in that it became less about the big exciting and sensational things, and more about how, without realising it, we often do actually achieve that 'new thing'. It may only be small or even boring, but we are all 'experiencing life' and growing. We just don't always realise it. Pick up the book 'First times and cupcakes' on Amazon now! As watch outings go, this was an epic one! little flight over to france, camped, collected the kayaks, survived the rapids, tombestoning, lightening storm, capsizes and a night with no tent under a table. Seond day finishing off the river, scambled up a 'mountain' and camped again. Next day fly home in time for England on TV! Cracking few days away in a spectacular place with a cracking watch:Wokingham Whites circa 2014. From left to right; James Hunt, Me, Adam 'Chef' Rushworth, Rudy Gallagher and Tim Weekes.